Two-time Indian Super League champions Chennaiyin FC has announced a 25-man squad for their 2019 AFC Cup qualifying playoff round against Sri Lanka’s Colombo FC. Colombo FC triumphed 9-2 on aggregate after a superb 2-1 win. The big news is the inclusion of local favourite Dhanpal Ganesh, who missed CFC’s entire ISL title defence due to a knee injury. Colombo defeated Bhutan’s Transport United 9-2 on aggregate in the preliminary round and will be hosting Chennaiyin FC in the first leg at the Colombo Racecourse grounds on Wednesday March 6th 2019. 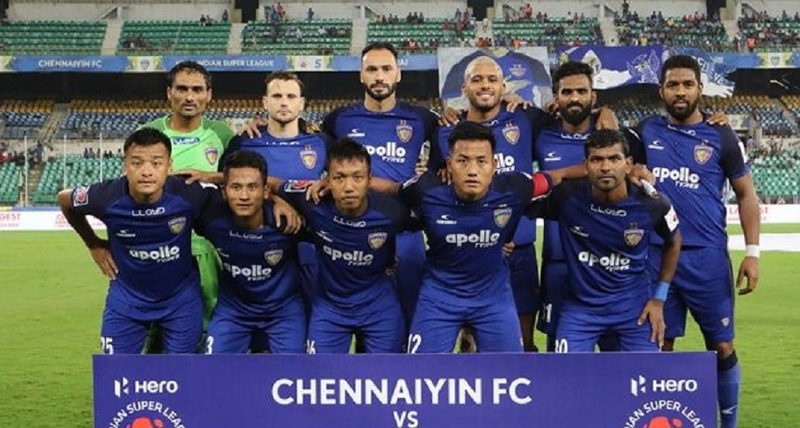 Chennaiyin’s home leg will be played in Ahmedabad on Wednesday March 13th 2019. Following the 1-0 defeat away to FC Goa in their final 2018-19 ISL fixture on Thursday, Chennaiyin will continue their AFC Cup preparations in Goa and leave for Sri Lanka on Monday March 4th.